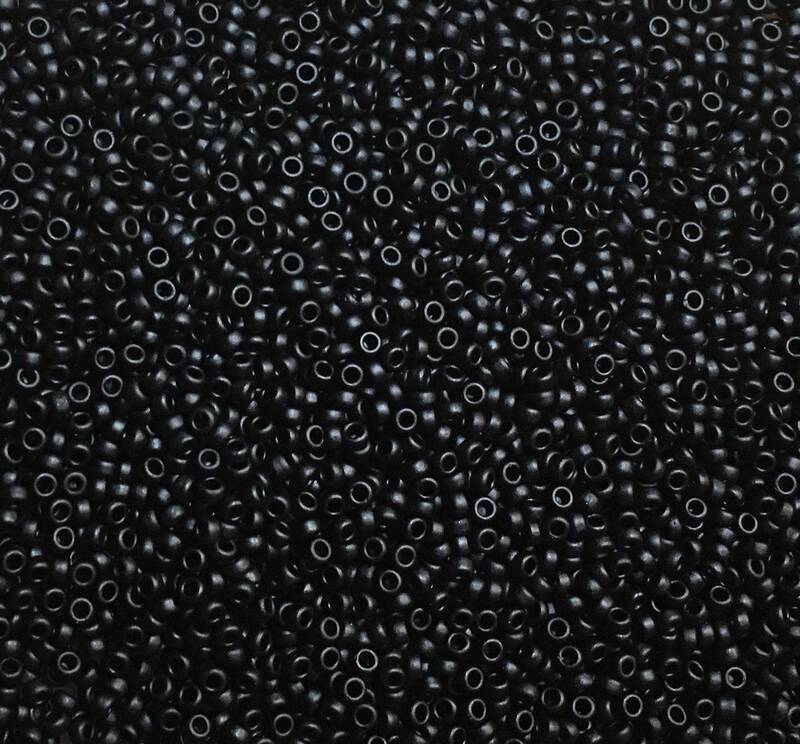 Frosted jet black 15/0 Japanese seed beads. 28 grams of beads in a 6 inch tube, about 7000 beads (250 beads per gram). Size 15/0 beads are great for creating detailed patterns and for introducing subtle color changes into your beadwork, not possible with larger beads. Japanese seed beads are designed to have a larger hole that allows for even more passes through for threads. The larger hole also creates lighter beads which give you more beads by weight. Consistent size, shape and quality! !